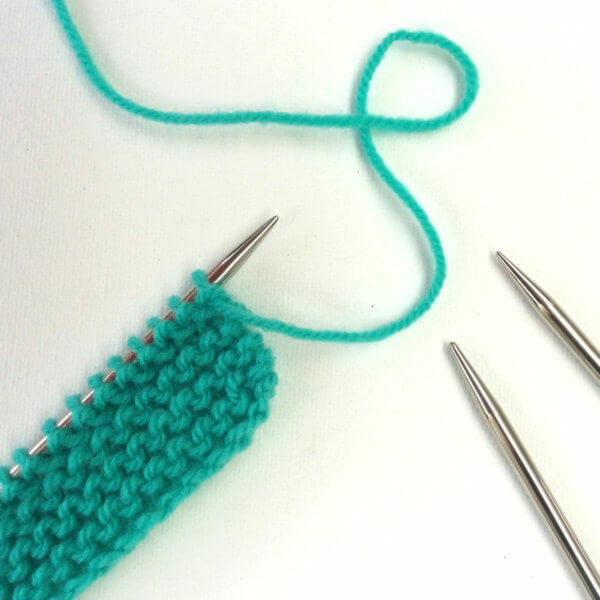 In this post I want to show you a variation of the i-cord BO: the loopy bind-off. 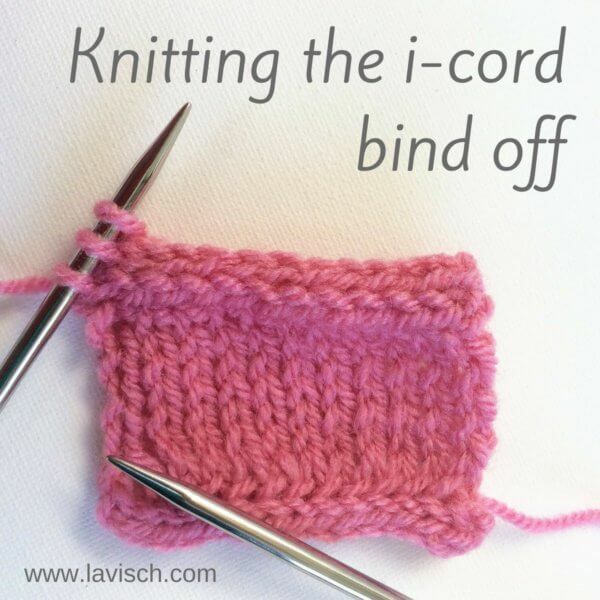 With a regular i-cord BO you work directly over all stitches, binding them off. 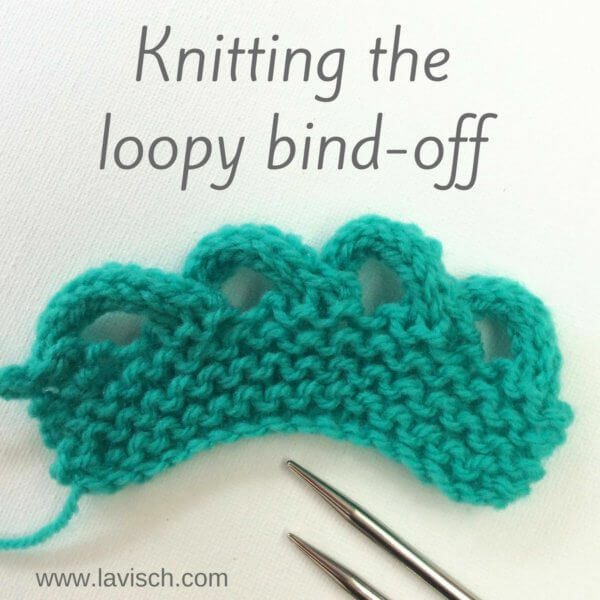 With the loopy bind-off loops of i-cord are made in between the stitches that are to be bound off. This does not only give a highly decorative edge, but is also a very elastic finishing. For this reason, this would be a nice BO to use on items like shawls, that have to be blocked quite aggressively for the best results. Similar to regular i-cord (click here for the post about it! 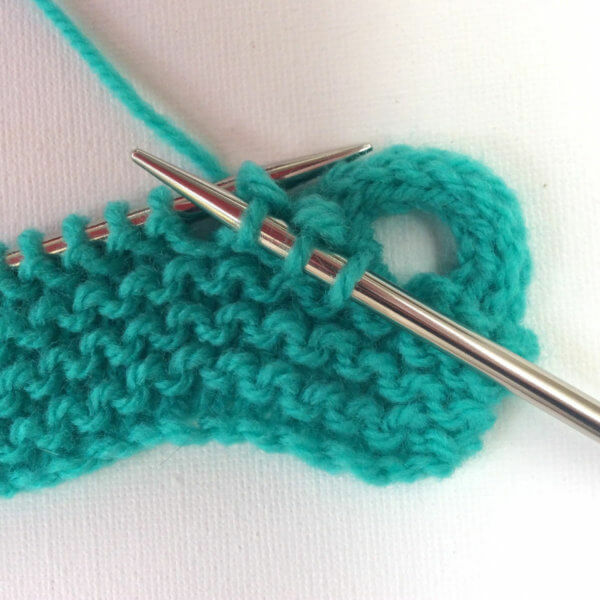 ), this stitch can be knit over 3, 4 or 5 stitches. The more stitches, the fatter the resulting i-cord will be. 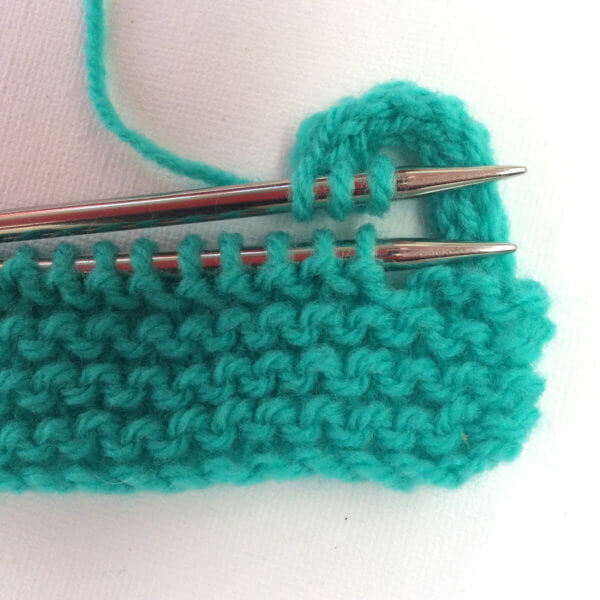 The number of stitches also affects the loops in this bind-off: if you want to knit the i-cord for the loops over 3 stitches, you will need a multiple of 3 stitches to bind-off + that number minus 1 (ie 2 in this case). 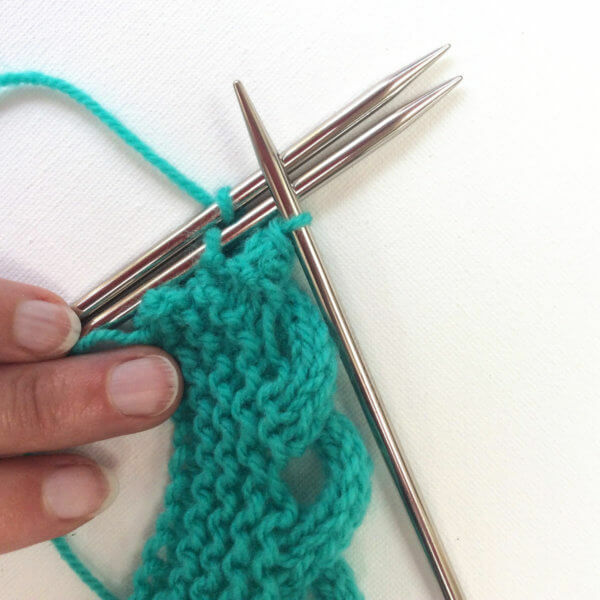 To knit the loopy bind-off, you need a set of knitting needles, plus one extra needle in the same size. It can be worked on both the good and the wrong side of the work. 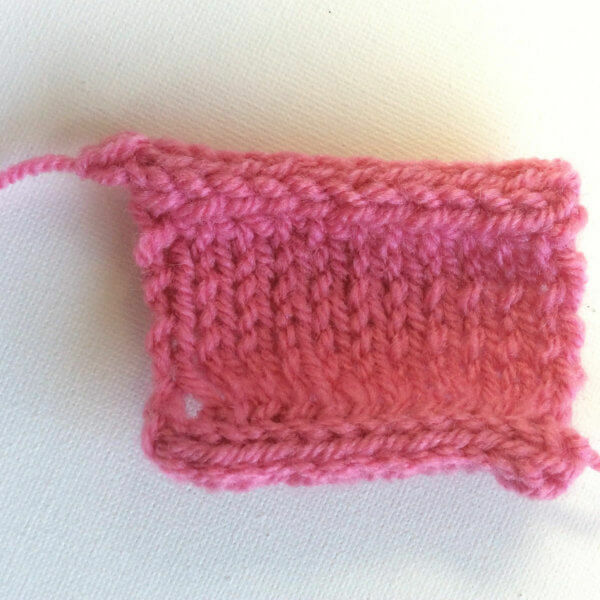 In this example I’m binding off a small swatch in garter stitch. 1. 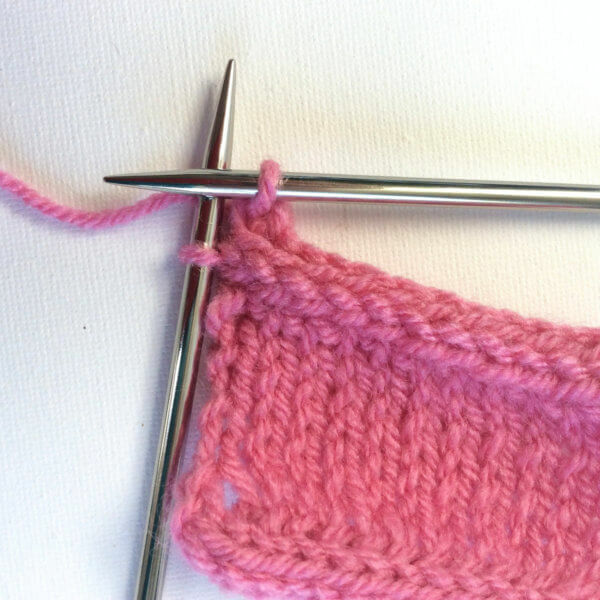 Use the first 3 stitches on the left needle to knit regular i-cord. You can decide how long to make the cord, as long as it is equal for all loops. In this example I made cord with a length of 3.5 cm, which was 10 rows. 3. Insert the third needle into the first stitch on the front needle, then immediately also into the first stitch of the back needle. 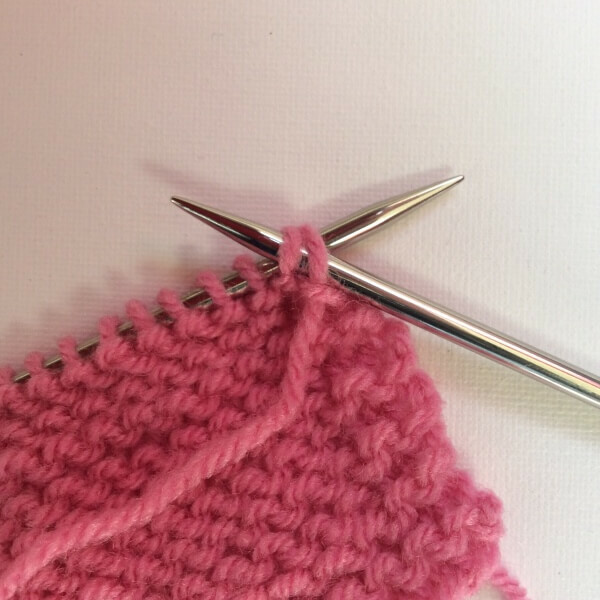 Wind the yarn around the needle as usual, pull the yarn through both stitches and then slip off the first stitch of both the front and back needle. This is really very similar to working a three-needle BO. 4. Repeat step 3 twice. 5. 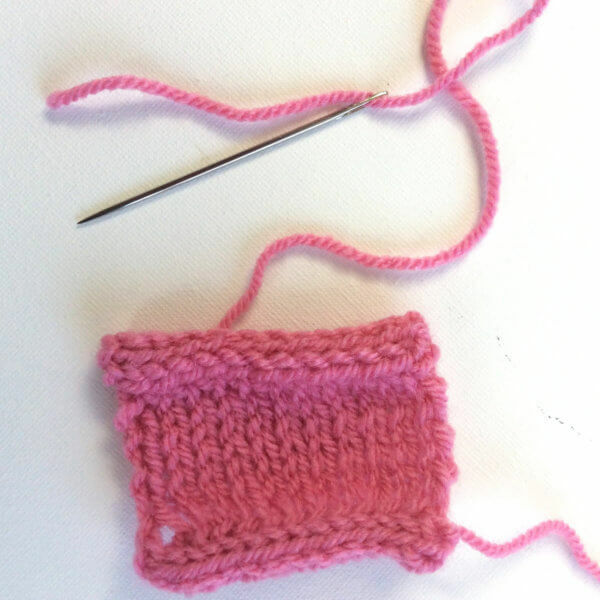 Next, slip the 3 newly knitted stitching back to the left hand needle. 6. 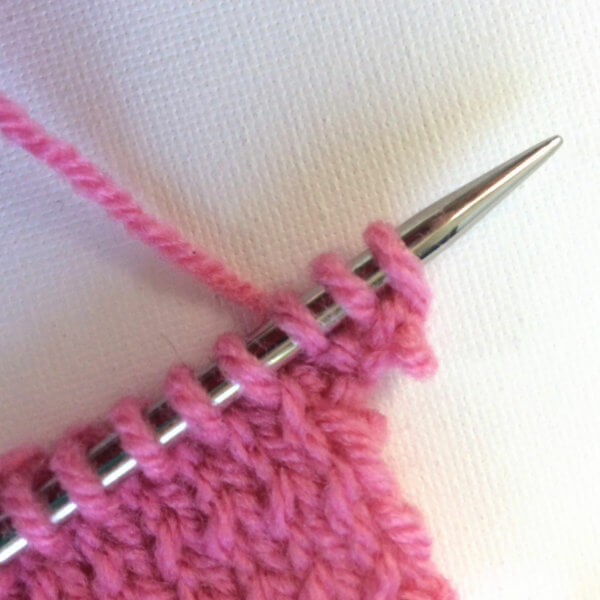 Repeat steps 1 to 5 until 3 stitches remain on the left hand needle. Next, repeat steps 1 and 2 once more. 7. Work step 3 twice, you now have 2 stitches on the right hand needle. 8. 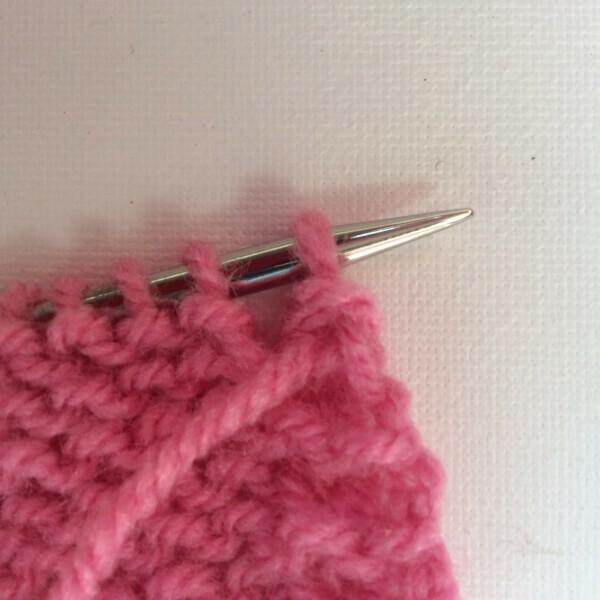 Pass the first stitch over the second stitch, you now have 1 stitch remaining on the right hand needle. 9. Repeat step 3 once more, followed by 1 repetition of step 8. All stitches are now cast off, you can now cut the yarn and pull the tail through the last loop. 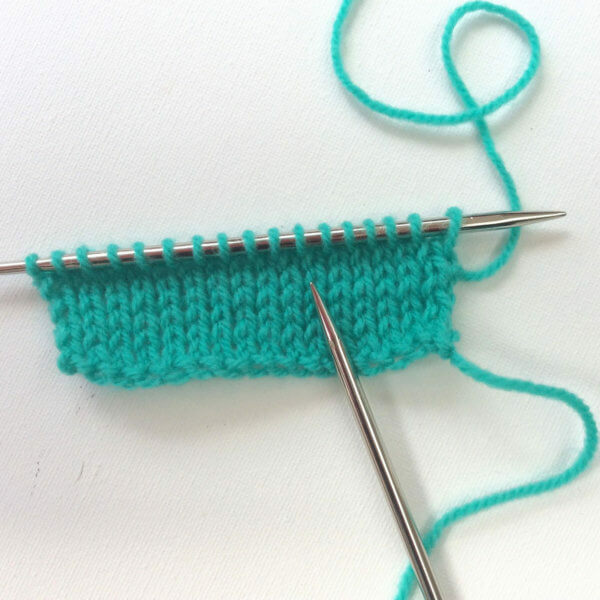 Depending on the desired effect you can use either the right or wrong side of this bind-off. 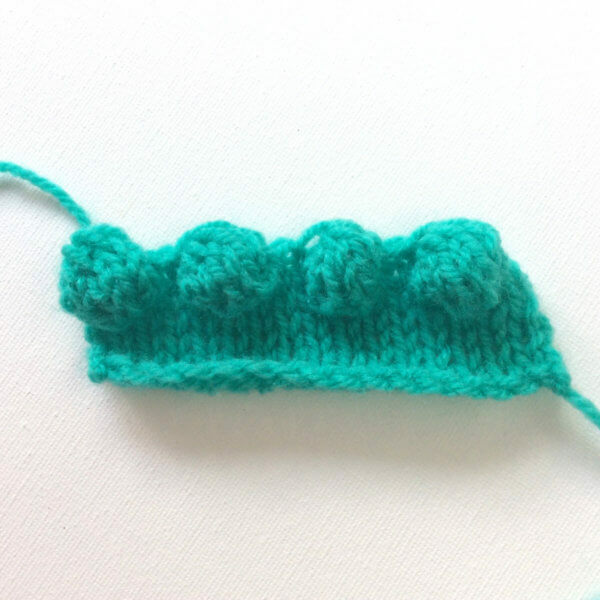 In a previous blog I’ve already shown you how to cast on your knitting project with decorative bobbles. 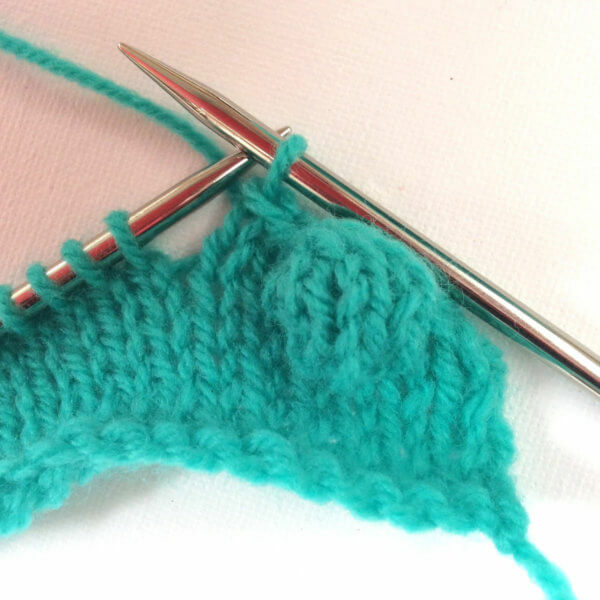 Of course we also want to know how to knit the matching bobble bind-off. You never know when it comes in handy! 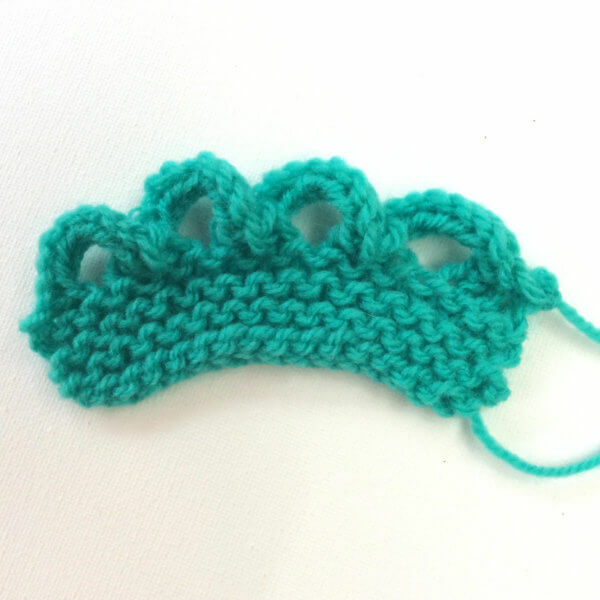 There are many different types of bobbles possible for this application. However, you want a reasonably “fat” bobble for the best result, because these makes the bobble “pop” better. 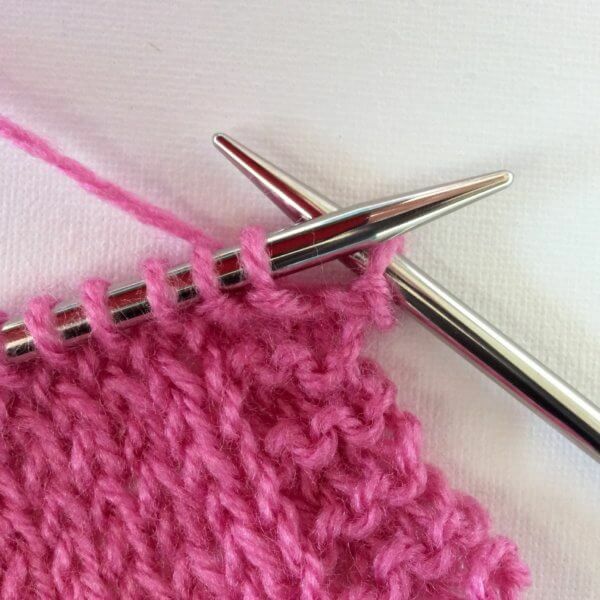 Below I’ll show you step by step how this looks when used at the bind-off edge of your knitting. 1. 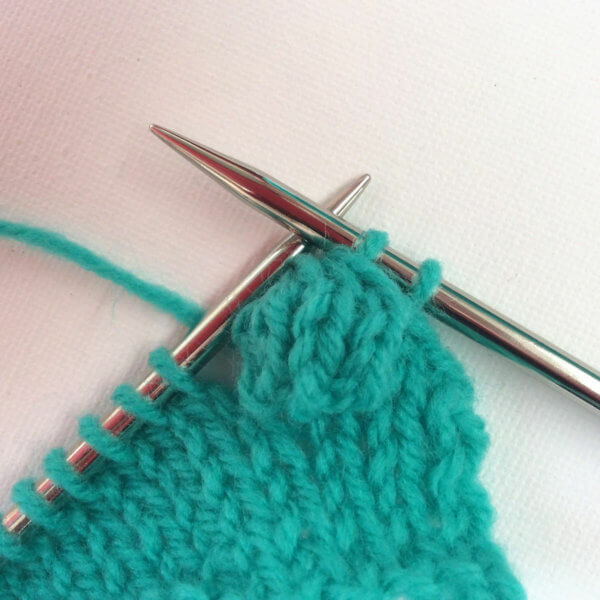 Your project is ready and you want to bind-off. 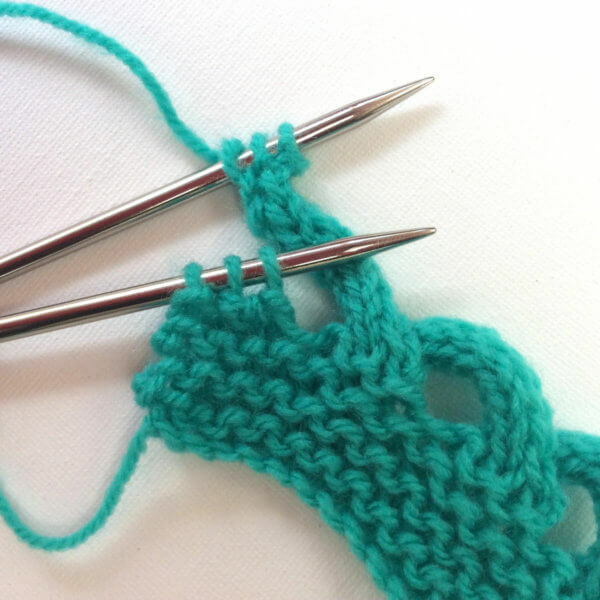 First of all, make sure you’re using a multiple of 4+1 stitches plus any edge stitches. In this example I’m using a multiple of 4 + 1 + 2×2 edge stitches for both sides of the work. 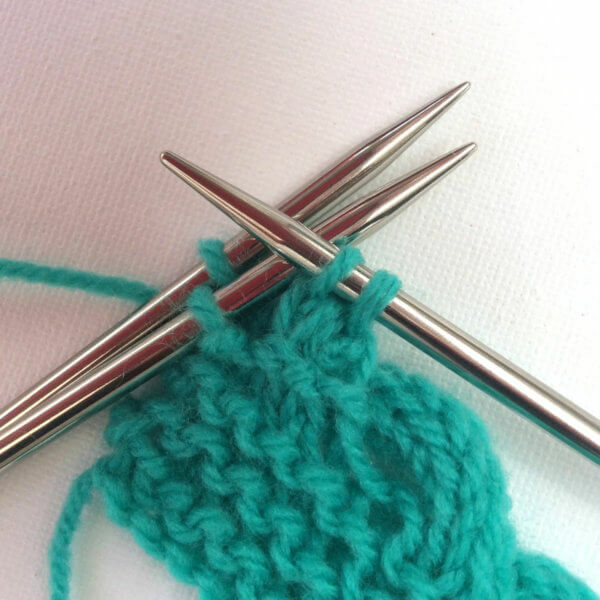 The 4 stitches consist of 1 stitch for every bobble and 3 stitches distance between each bobble. 2. 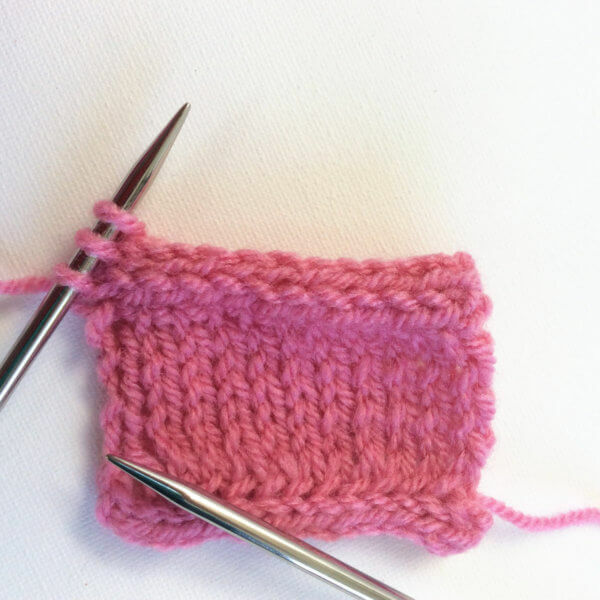 Make sure you are on the right side of the work and knit 2 stitches. Next pass the second stitch on the right-hand needle over the first stitch to cast it off. 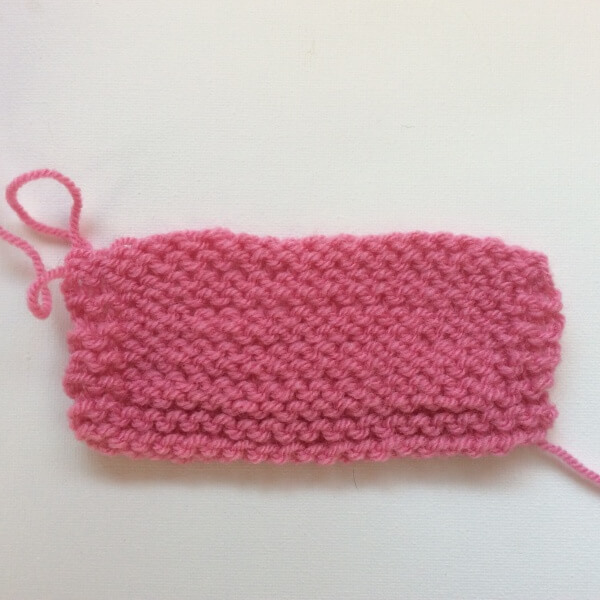 3.In the next stitch we will be making a bobble as follows: Work [k1, yo, k1 , yo, k1] all in the next stitch, without sliding it off prematurely. 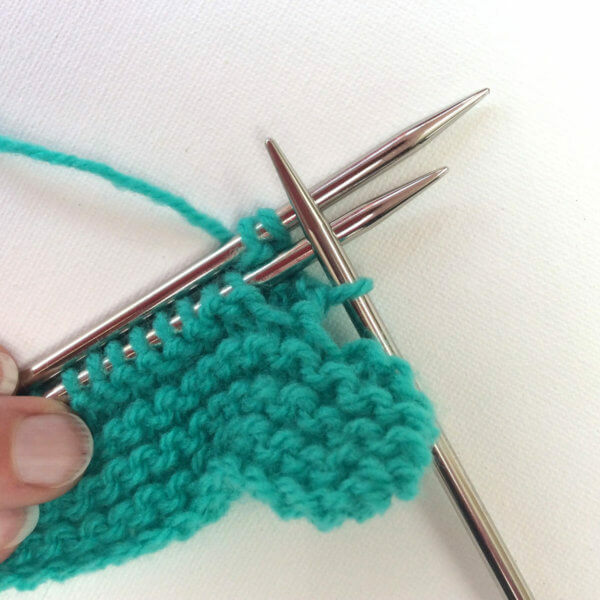 You now have 6 stitches on the right hand needle, we will knit the bobble over 5 of them. 4. Turn work, p1, p1 tbl, p1, p1 tbl, p1. The “p tbl” stitches are worked that way to close up the yo’s of the previous row. This will make the resulting bobble smoother, this may require some practice! 5. Turn work and knit 5 stitches. 6. Turn work and purl 5 stitches. 7. Turn work again and knit 5 stitches. 8. 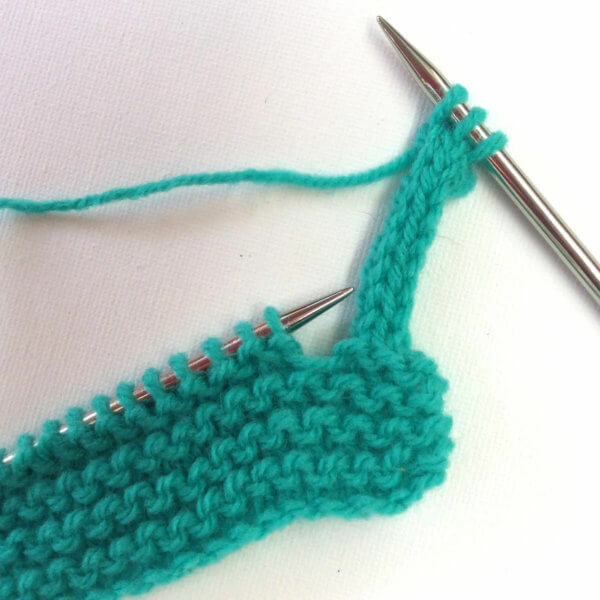 Now pass the second stitch on the right hand needle over the first stitch, repeat this until only 1 of the 5 bobble stitches remains. You have now created one bobble! You can push it out a bit to the right side of the work to show it to its best advantage. 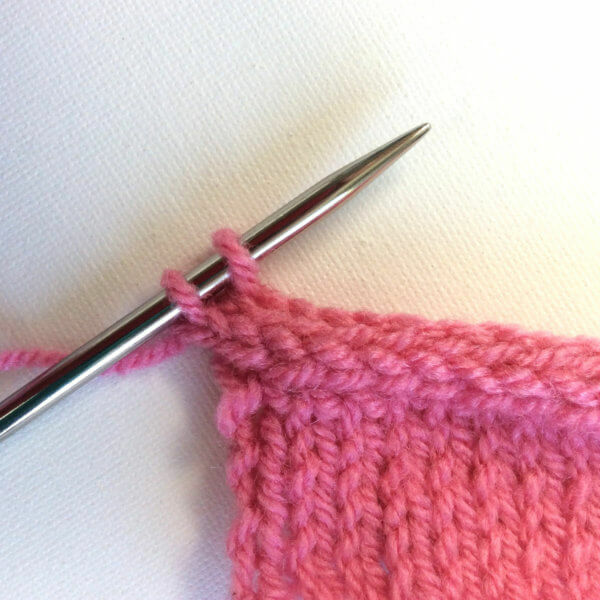 There are now only 2 stitches left on your right hand needle. 9. Next pass the second stitch on the right-hand needle over the first stitch to cast it off. 10. 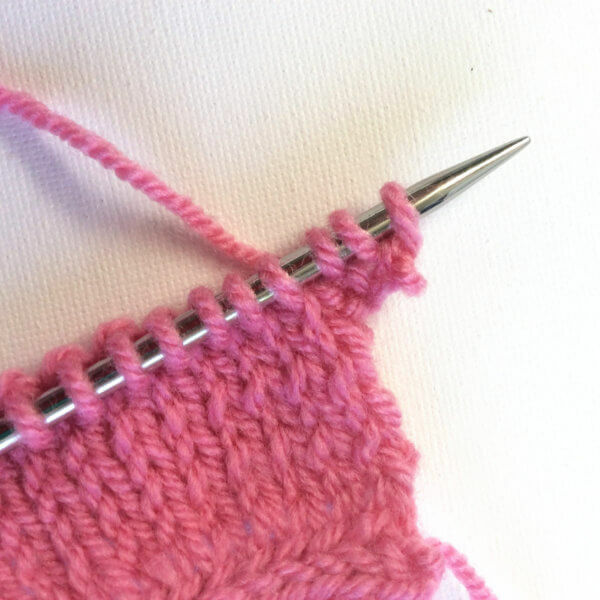 Knit one stitch and again pass the second stitch on the right-hand needle over the first stitch to cast it off. Repeat two more times to bind off 3 stitches in total. 11. Repeat steps 3 to 10 until 3 stitches on the left-hand needle remain. 12. 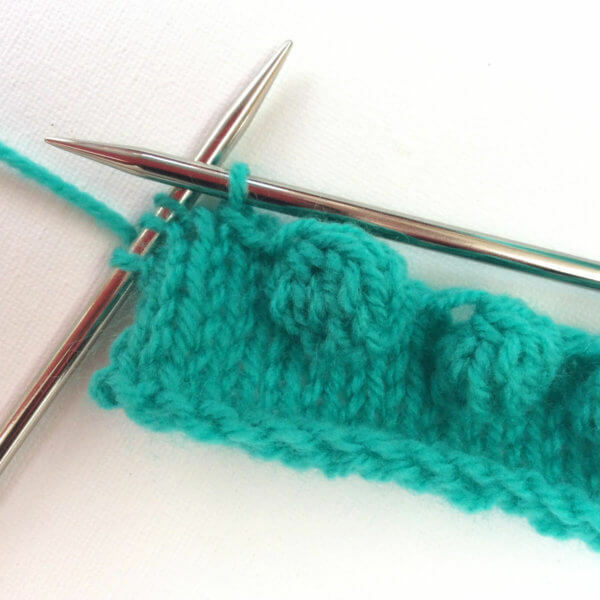 Repeat steps 3 to 9 once more to knit the last bobble and end with binding off the 2 edge stitches. And this is how the bobble bind-off is done! 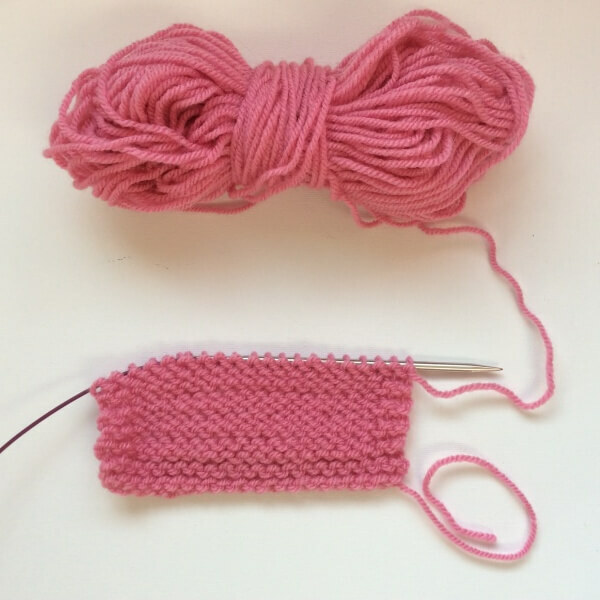 In a previous post I’ve already shown you how to cast-on your knitting project with an i-cord cast-on. 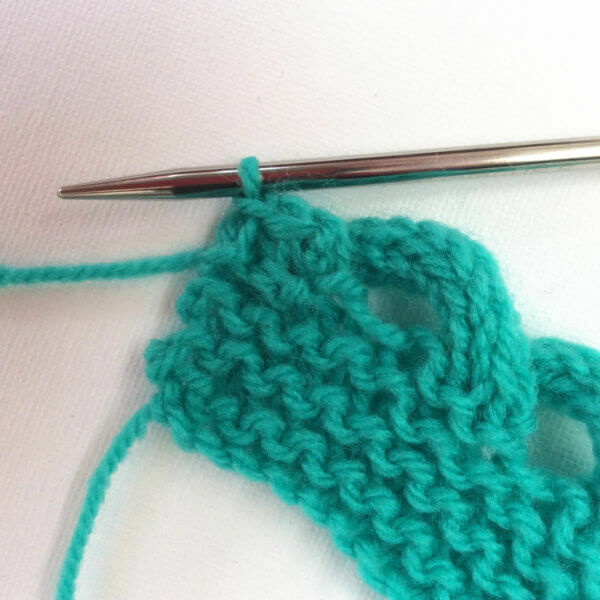 And of course it would be nice to be able to bind-off with a matching i-cord bind-off finishing. Fortunately, we can! I-cord bind off: Cast-on 3 sts, *k2, k2tog tbl, sl 3 sts just worked back to LH needle, pull yarn tight across back of sts; rep from * until 3 sts remain. Next: K2tog tbl, k1, sl 2 sts to LH needle, k2tog tbl and fasten off. 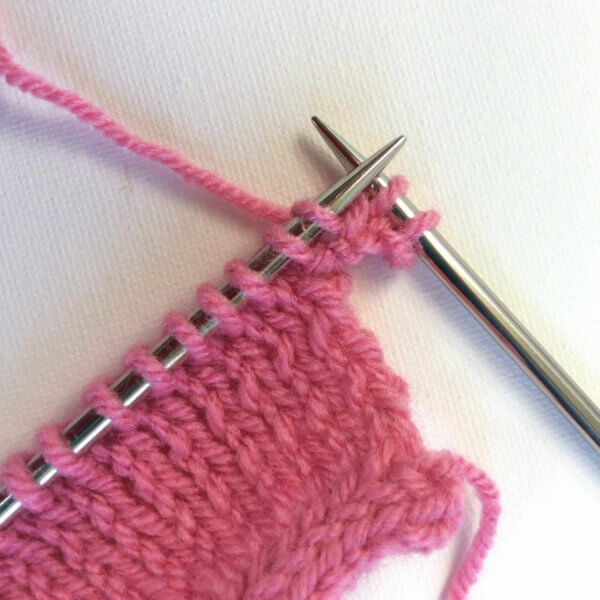 You can start casting off as soon as the last row of your work has been knit, and after your work has been turned when working flat back and forth. 1. With the right side facing, cast-on 3 stitches. I used the knitted-on method. 3. Knit 2 stitches together through the back loop. 4. 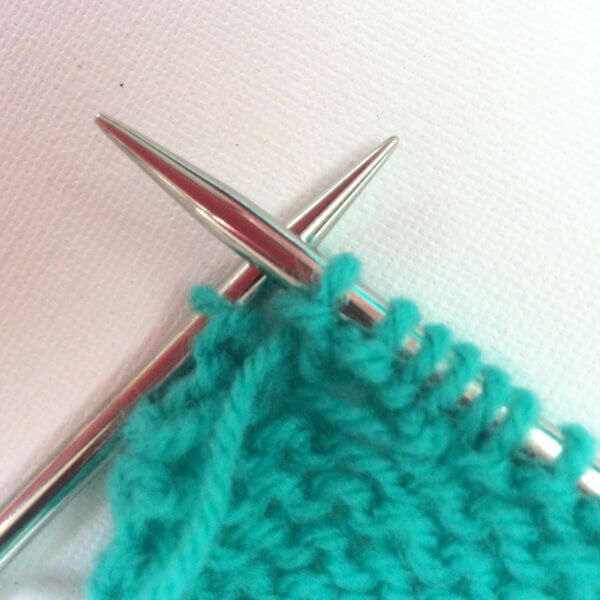 Move the 3 stitches on the right needle back to the left hand needle one by one. 5. 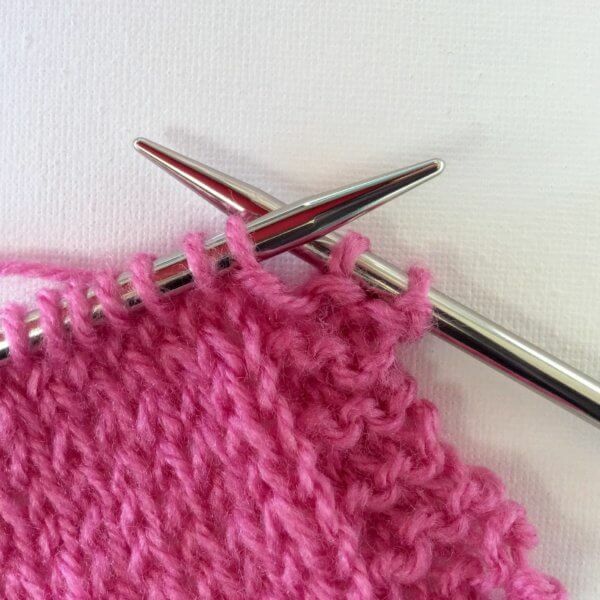 Pull the yarn tight and make sure that it is behind your work. 6. Repeat steps 2 to 5 until 3 stitches to bind-off remain. 7. Knit 2 stitches together through the back loop. 9. 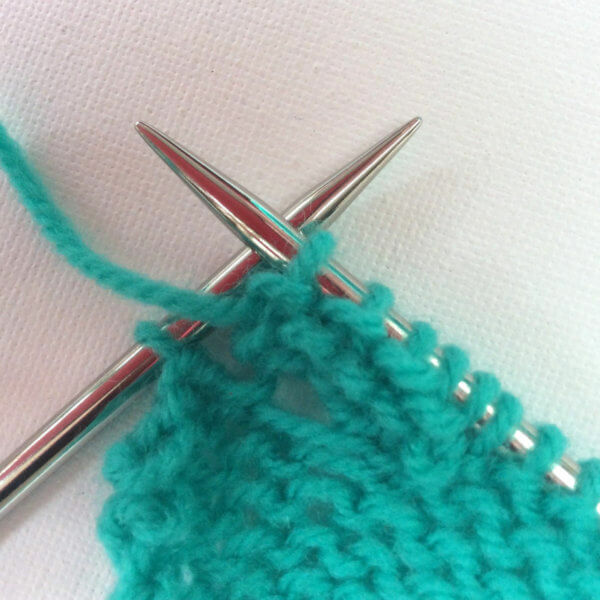 Move the 2 stitches on the right needle back to the left hand needle one by one. 10 Knit 2 remaining stitches together through the back loop and fasten off. 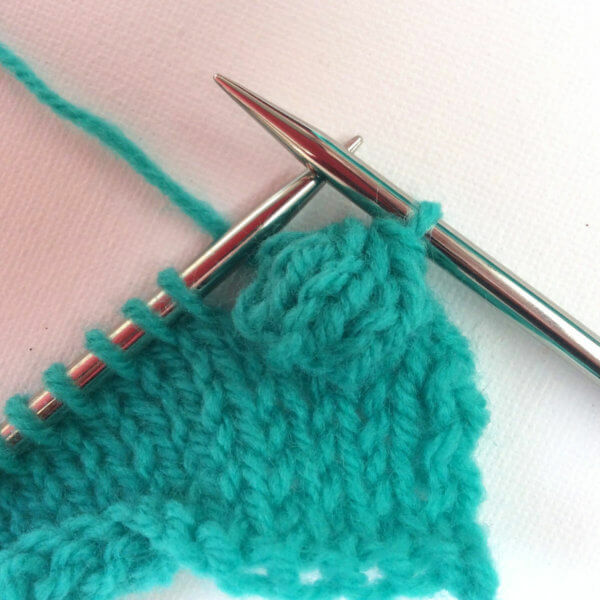 It can be very nice to knit the i-cord bind-off in a contrasting color to the rest of your project. It may however happen, that the main color shines through in the i-cord BO. 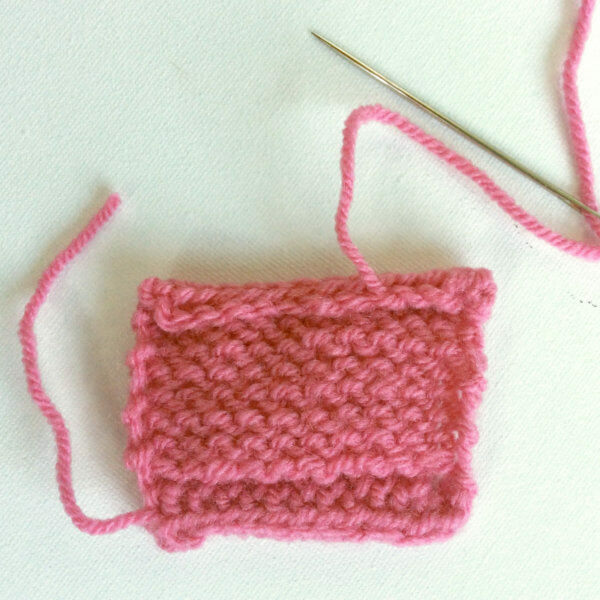 To avoid that, I would recommend to first knit a row in the contrast color, before starting the i-cord bind-off. An i-cord bind-off edge on a piece worked in stockinette stitch is very pretty. 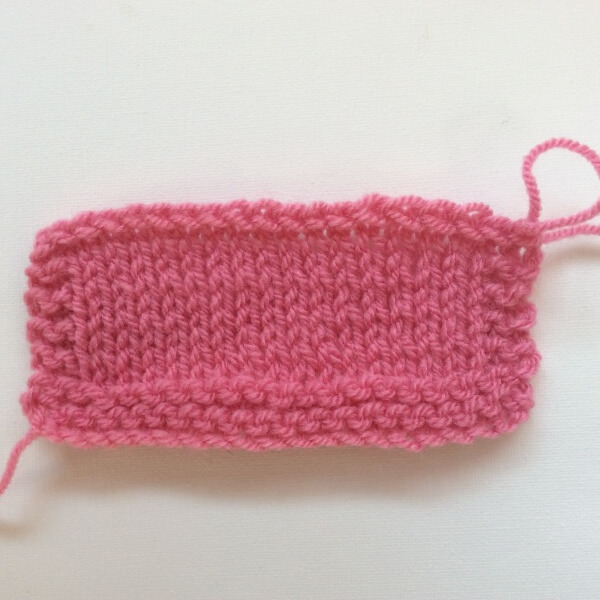 As you know however, stockinette tends to curl…. A lot. An i-cord bind-off is usually not sufficient to prevent curling. 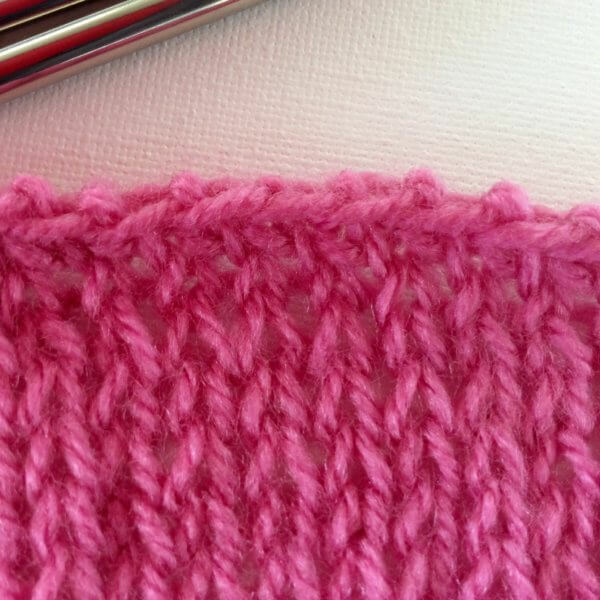 For this you will have to look at other methods, such as garter stitch or rib. 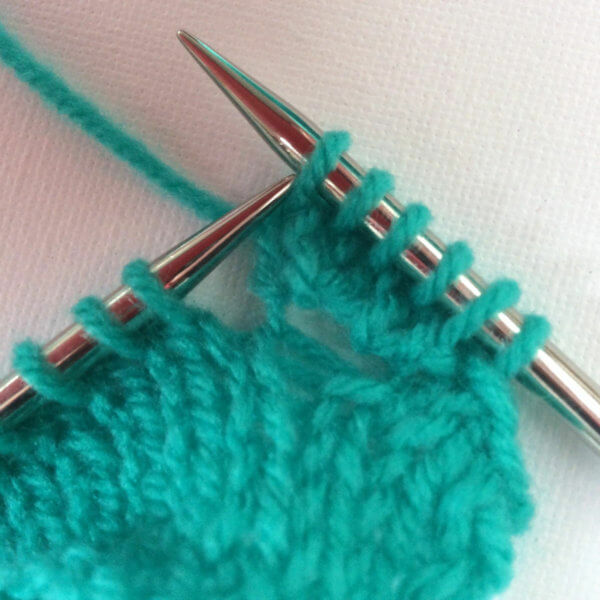 So if you purely want the effect of a stockinette stitch edge to your work, you better have a look at a folded hem. 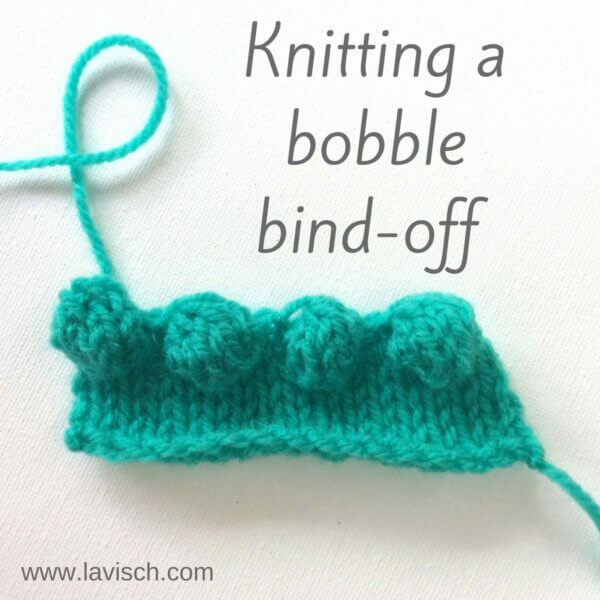 In a previous post I have shown you my favorite method of binding off: The Russian bind-off method. 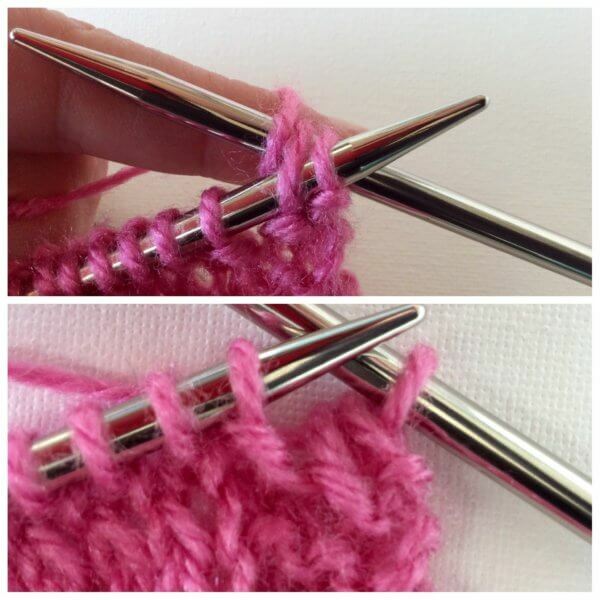 This is a very elegant way to bind-off your knitting project to get a very elastic edge on your piece. This is often important to me, because I knit a lot of lace shawls. Knitted lace usually shows its beauty best when it has been gently washed and blocked out. This is only possible if the edge has plenty of stretch. But what if you need to cast off from the wrong side of the work? 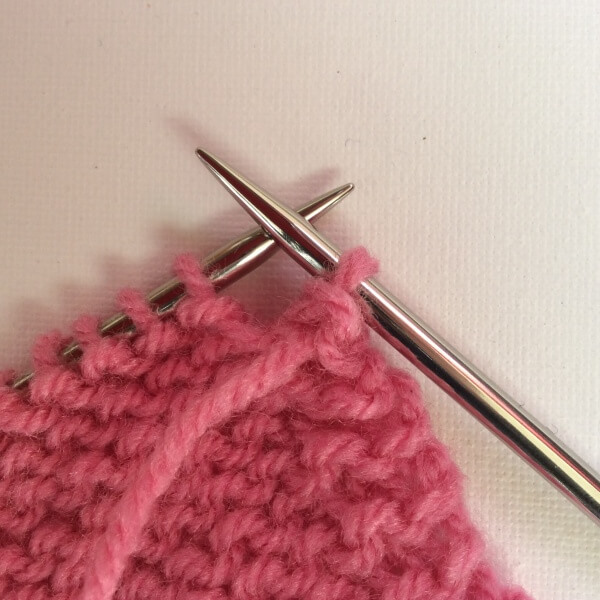 Think of a situation that you don’t have enough yarn to knit another row before binding off. 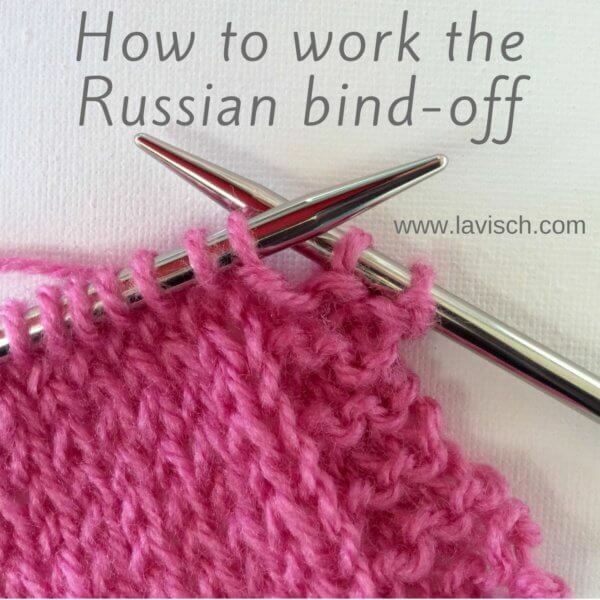 In such a case, it is nice to know that you can also bind-off the Russian way on the wrong or purl side of your work! 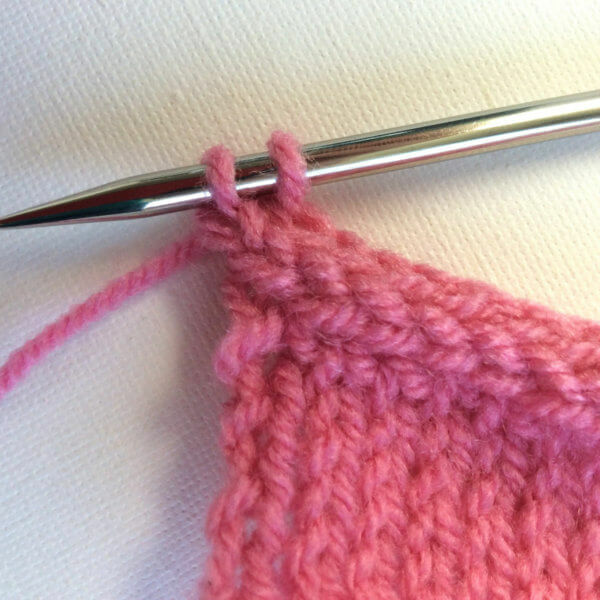 Russian bind-off on the WS: *P2tog, slip stitch from right-hand back to the left-hand needle; repeat from * to end. 1. Purl the first 2 stitches together. 2. 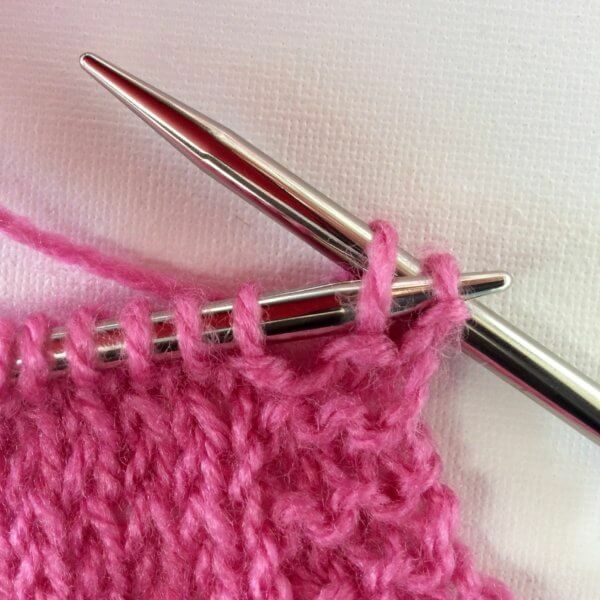 Slip the new stitch on right hand needle back to the left hand needle. 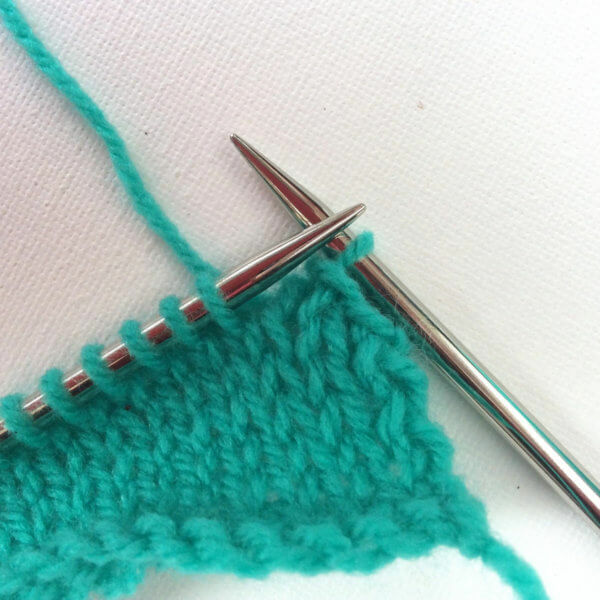 You probably already know that there are many different ways to bind off. 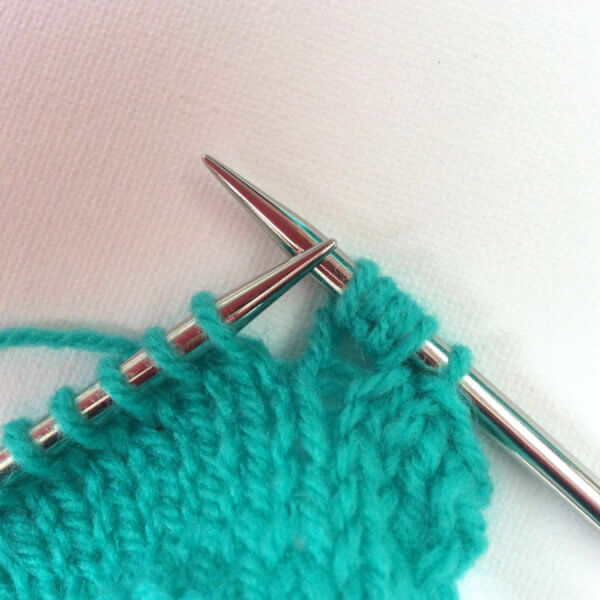 A problem that sometimes occurs is that the bind off too tight. That is when you get the sweaters were no head fits through the neck opening, or those toe-up knitted socks where no foot can be put in and lace shawls that can’t be blocked out to reveal their patterning. Of course, you can choose to go up in needle size when binding off. 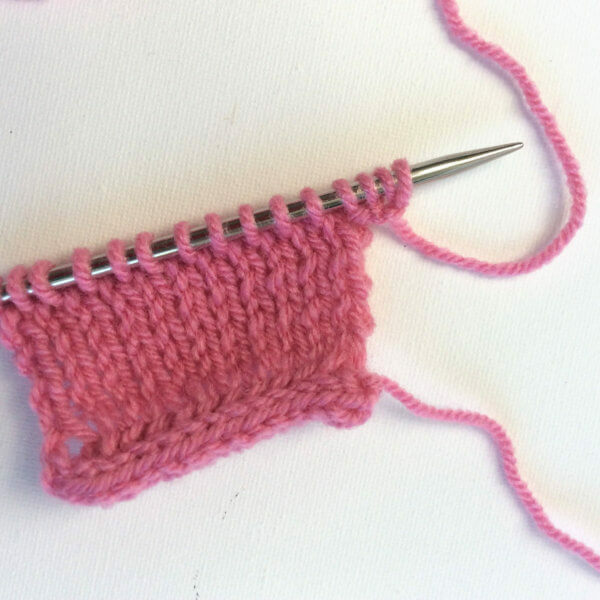 However, a too loose bind off is not pretty either… What to do? 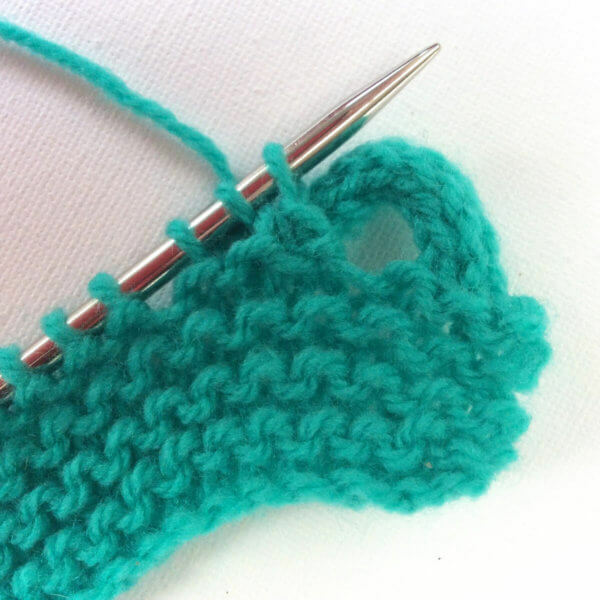 In these cases, my go-to bind off is the Russian bind-off. This is an elegant way to get a very elastic edge on your piece. This is often important to me because I knit a lot of lace shawls. 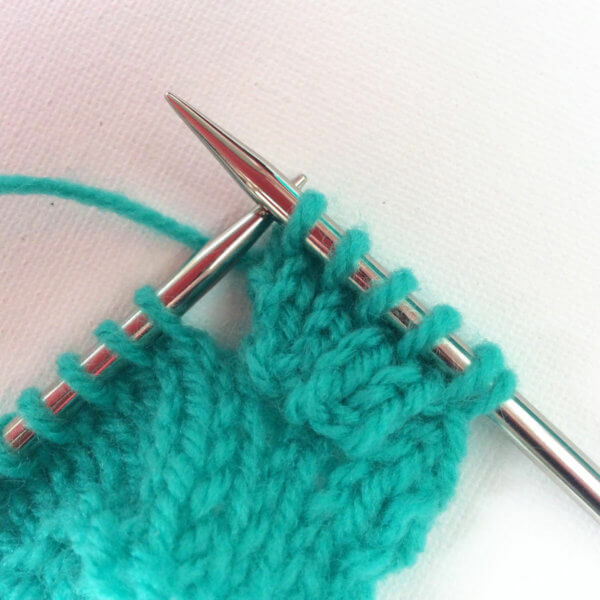 Russian bind-off: K1, * k1, slip stitches from right-hand back to left-hand needle and k2tog tbl. Repeat from * to end. 1. Knit the first stitch. 3. 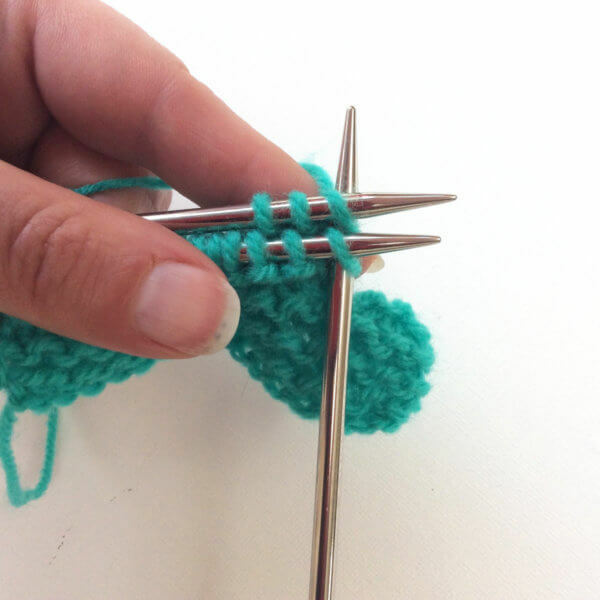 Slip the two stitches on your right-hand needle back to your left-hand needle. 4. 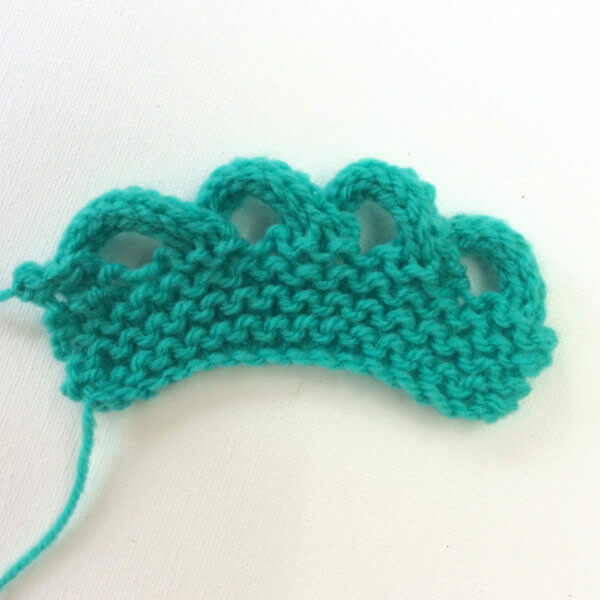 Knit these two stitches together through the back loop. 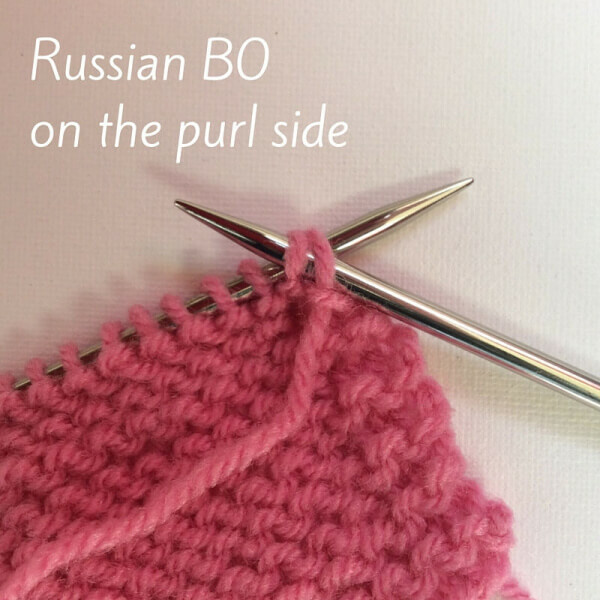 The Russian bind-off can for example also be used to bind off in rib pattern. 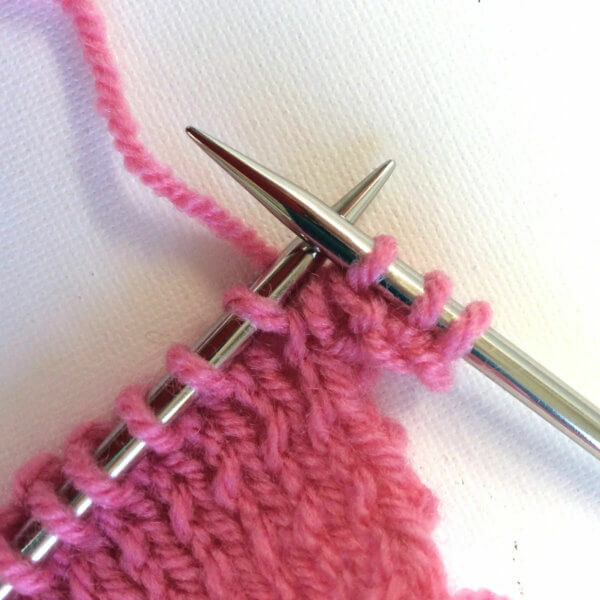 You only need to adjust step 2 of the above instructions: Knit the knit stitches that you encounter and purl the purl stitches. That’s all there is to it!